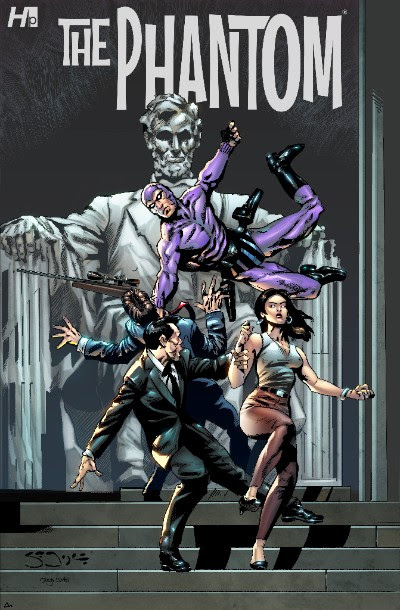 Fellowship Previews: Coming Soon From Hermes Press: Ron Goulart and Sean Joyce's THE PHANTOM! 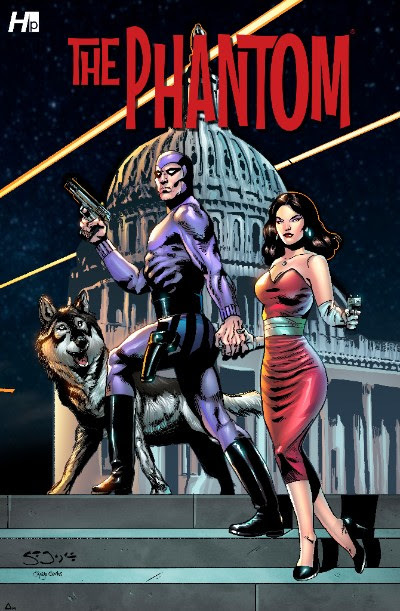 Coming Soon From Hermes Press: Ron Goulart and Sean Joyce's THE PHANTOM! The year is 1962, and the Phantom returns once again in a new adventure! There’s a possible world war with Russia looming on the horizon, and newly minted President John F. Kennedy calls upon his old friend Kit Walker for help – let the action and intrigue begin! Learn how Kit first met JFK during his service in PT-109. In this all-new Phantastic adventure, veteran Phantom script writer Ron Goulart returns with artist Sean Joyce, a new comer to the Phantom and to comic books, but no newcomer to the art world! 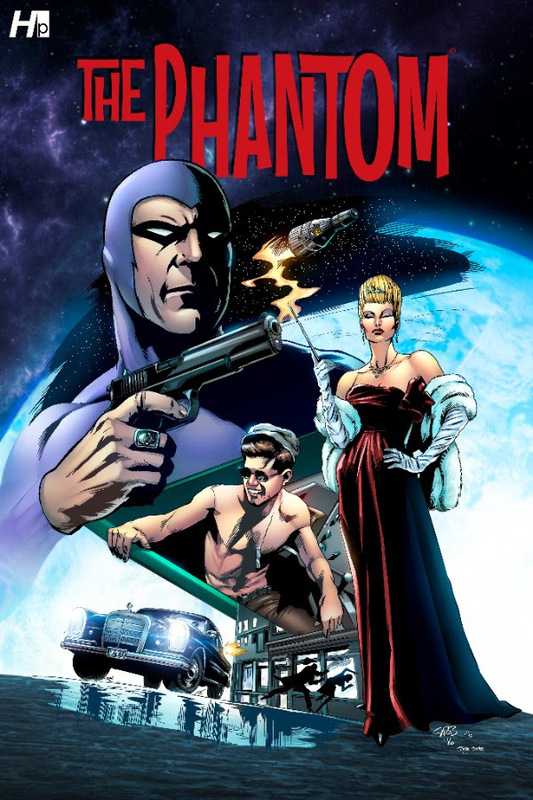 Joyce is best known as one of Hollywood's most talented matte painters and storyboard artists, and he is lending his talents to comics for the first time, to bring The Phantom to life in this exciting new adventure! This five book story arc (each issue to be released every month and a half) has something for every Phan- history with JFK, Russian femme fatales, espionage, lost U.S. astronauts on a secret mission, Singh pirates, and, of course The Phantom, Diana, and Devil! Journey back to the swingin’ 1960s with The Phantom! Issue one boasts three original covers and one virgin variant. Don't miss out! Cover #1 was drawn by Scott Brooks, cover 1a and 1b was drawn by Sean Joyce. Check out May's edition of Previews for more details, or visit our website!